Nurses Appeals | Nurses Defence Service – UK. Nurses have a right to appeal many determinations made against them, whether the decision is related to their employment, the NMC, criminal law, or civil law jurisdictions. Many first instance panels/judges/juries get things wrong – whether due to a misunderstanding of the evidence, a general uncorrected unfairness of approach, or because of some other fundamental reason. A nurse must lodge their appeal within the prescribed period, as there is a risk that the nurse will lose the possibility of appealing if they are out of time. Time limits can be very strict indeed, and so nurses should err on the side of caution and lodge their appeal in good time, without leaving things to the last minute. In employment cases, at the employer level there will be a policy that dictates the time period for lodging an(employer level) appeal. Whether or not there has been a succesful appeal, an employee may be able to take their case to an Employment Tribunal (ET). There is also an appeal panel that sits above the ET, known as the Employment Appeals Tribunal (or EAT for short). From an EAT decision, in certain instances, there may be a right of appeal to the higher courts. An employment tribunal claim must usually be lodged within three months of the date of dismissal. It is important to bear this in mind as some employer level appeal hearings will take place after the three months limitation period in the employment tribunal. TIME LIMITS TO LODGE AN APPEAL: An appeal may be lodged to challenge the imposition of an interim order. An appeal from an NMC professional conduct decision lies to the high court in England, or the respective court in each country of the UK. An advserse determination might include being suspended from practice or being struck off the register. In Nursing and Midwifery cases an appeal must (in most cases) be lodged within 28 days of an adverse decision having been announced. Extensions of time in which to lodge an appeal are rarely granted: R (Adesina) v NMC  EWCA Civ 818. See, also the case of Nursing and Midwifery Council v Daniels  EWCA Civ 225 for the application of ‘exceptional circumstances’ considerations, where a nurse has failed to lodge their appeal in time. In Fabiyi v NMC  EWHC 1441 (Admin), where the nurse was found guilty of dishonesty. The appeal judge ordered a retrial due to inadequate particulars being given in the charges and inappropriate legal directions being given to the adjudicating panel. In Musonza v Nursing and Midwifery Council  EWHC 1440 (Admin) a nurse was successful in overturning a stike off order, made in her absence, at a private hearing. The court held that the NMC had not given sufficient warning that the nurse should take legal advice and be represented, because of the potential outcomes. Also, there was a failure to sufficiently take into account the nurses evidence as it related to one of the allegations. In criminals cases, nurses might be found guilty of crimes they have not committed. In such cases, an appeal will lie from the magistrates court to the divisional court or to the crown court, depending on the issues. A conviction in a crown court lies to the court of appeal. A nurse may appeal either their conviction or their sentence or both. Again there are strict timelines to lodge an appeal, usually 21 days. In Nicholson v R.  EWCA Crim 1568 a nurse appealed on various grounds three convictions for indecent assault of patients under the effects of anaesthesia. He received a sentence of 13 years imprisonment. He lost his appeal. In civil cases, a nurse may, by way of example, lose their personal injury claim before a judge in the first instance. They may however be successful on appeal in demonstrating that the judge got the law or the facts wrong, and go on to win their case. In Sutcliffe v BMI Healthcare (2007) EWCA Civ 476 the nurses caring for Mr Sutcliffe were found not to have caused or contributed to the patient’s brain damage, caused by aspiration of vomit during a post-surgery period while the patient was under the effects of morphine, despite various nurses’ omissions to undertake observations. 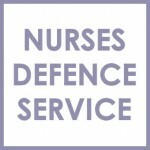 Nurses Defence Service provides legal advice and legal representation in relation to appeals in many legal specialisms. Some of our lawyers have been nurses themselves and so they know first hand what it is like for nurses who work on the front line or in management. Contact our lawyers in strict confidence and without obligation to see how Nurses Defence Service may be able to assist you. We work with nurses to get the best possible outcome in cases.